I have a Cleo doll with lovely hands, they're molded as if to hold things and just...cute and delicate. I was hoping you guys could help me find out if any others share that hand mold. 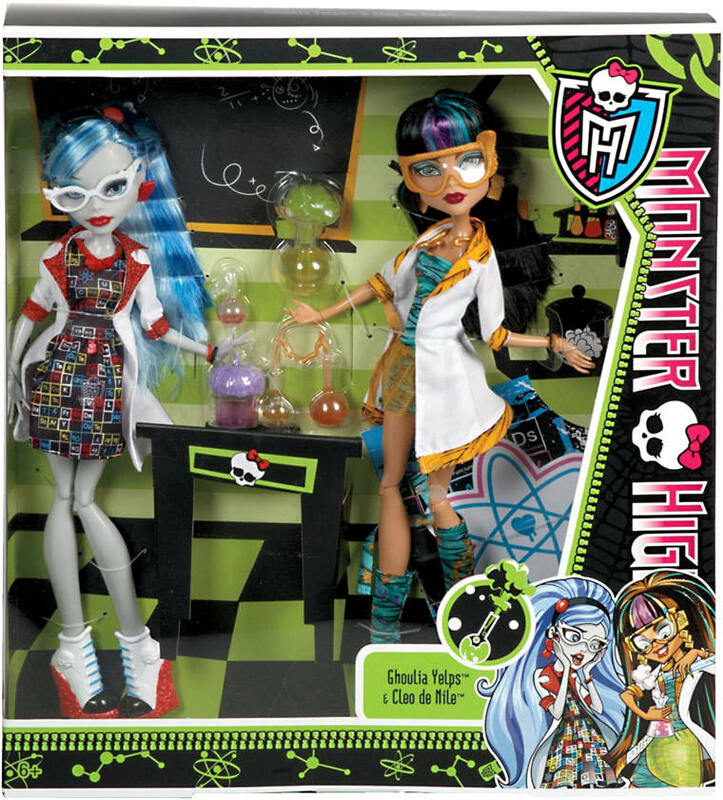 Cleo was from a two-pack with Ghoulia, I believe it was part of the Classrooms line? It's Mad Science themed. I apologize for not having pictures. Do you mean this Cleo? That pic is from the Classroom line, the other dolls have varying degrees of grasping hand molds. I do, yes. Does anyone else have the same hands? I know the Ghoulia with her just has the standard hands. Only Cleo had that hand mood. Aw really? A shame. Well thank you anyways! If modders had known those hands were a one off, I bet Mattel would have sold a ton of 'replacement' parts. Did they do that often? I thought it was just that torso pack sold online. oh, multiple versions, okay. i misunderstood and thought they meant only One Specific Cleo had those hands. Awesome, i wanted an excuse to get a few more Cleo anyway. Does anyone know which others have them?